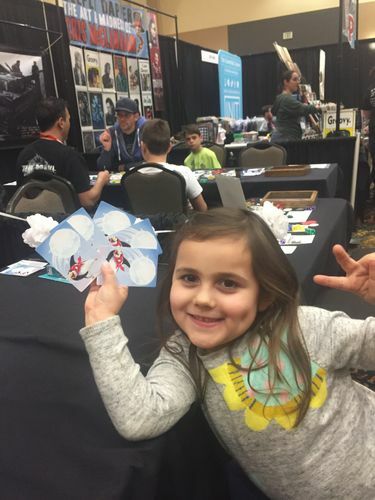 It's been three years since I moved to Utah, and I finally had the chance to attend SaltCON, arguably the largest local board game convention. I've attended Gen Con, Origins, and a handful of PAXs, but it's sometimes a struggle to find time for local conventions. Early Saturday morning I packed up my five-year-old daughter and headed to the convention center located a few minutes north of Salt Lake City. I was surprised to find a crowded parking lot with a brief line to enter the convention. Turns out this year was a new high for the convention. Utah may not have the largest population, but the gamer density is substantial. This was the first year the convention had a dedicated exhibitor hall. Since that's my usual speed at conventions, we headed right in. Following Glyph, we checked out Moods of the Mad King. This is sort of a set collection game in which you are aiming to collect a complete three-card set. 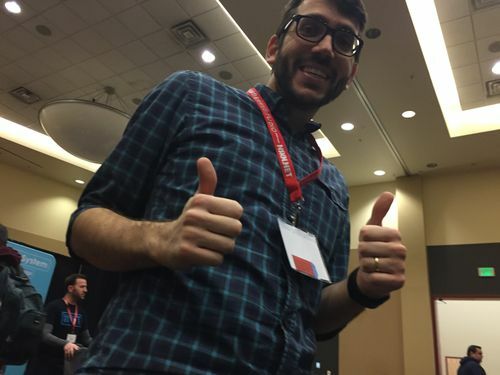 I "won" the demo and this resulted in a new photography rule: The winner must take a "selfie", as witnessed below. We decided to leave the hall to explore the rest of the convention and ended up running into some folks from Roxley on the main gaming floor. They gave us a demo of Dice Throne: Season One and let us know that Dice Throne: Season Two is still on Kickstarter. My daughter was also able to perfect some action shots. Back into the exhibitor hall! We swung by the Gamelyn Games booth, but it was pretty packed. We did manage to grab a few shots of Heroes of Land, Air & Sea, which was on display. That game looks like an amazing toy. I was surprised to see Strawberry Studio at this show. They were playing What's Up, which I enjoyed in app form, and Pyramid of the Sun. What really caught our eye was Scare It!, their newest game coming in May 2018. It's a fun little matching game in which you are trying to scare other animals away while keeping your animals on the board. It was then time for a lunch break, which is an essential part of any convention experience. When we got back, we headed over to try Wet Blanket (which does not have a BGG listing, for shame! ); this is a light game about pulling people away from a party. At the same booth we checked out Ignite, a new type of confrontational deck-building game coming to Kickstarter soon. After that, we finally had a chance to check out a game my daughter had been eyeing since the morning: Snowball Fight. This war variant was all right, but the best part was that my daughter won! Cue selfie. The Dice Game, which will be hitting Kickstarter soon. This roll-and-write game looks pretty deep for a dice game (summoning Suz of The Dice Tower). Our day was nearly at an end. We had the chance to play a prototype game about dinosaurs eating food and say hi to a few folks. Before rolling out, we had a chance to stop by the Red Raven Games booth. 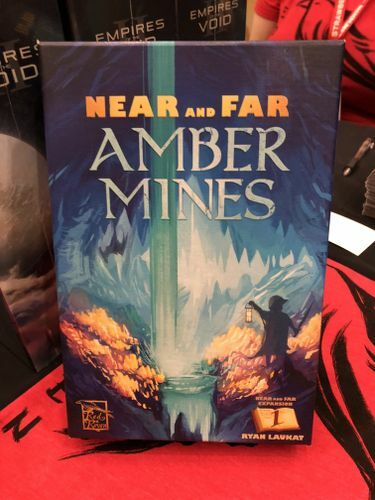 They had some early copies of Empires of the Void II available at the show and a sneak preview of Near and Far: Amber Mines. My daughter nailed a ECU of the cover. Note: This was recorded using Periscope which only allows vertical recording. We've used Periscope so we can give you these quick updates while our other equipment is not available. Note: This video was recorded with periscope which only allows vertical video recording. In early March 2015, I had the chance to head to PAX East and catch up with the latest happenings in board gaming. Here's my third round-up of videos from the event highlighting upcoming board and card games. 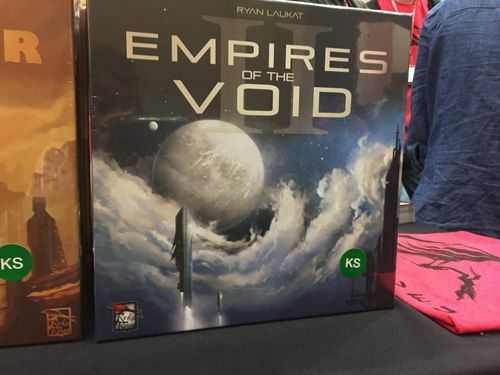 Okay, I am biased here as I have wanted board games to enter the streaming space for more than year now, but this may be the coolest thing I saw at PAX East in 2015. The Greater Than Games team has put together a system to livestream tournaments of their games. Similar to the set-up that BGG has at Gen Con and Spiel, these guys have also added in commentators in a separate location. There was even a TV at their booth that a passerby could watch if desired. All in all, a very cool set-up. Curt Covert from Smirk & Dagger Games took the time to show me a new game it will release in the middle of 2015 called Nevermore. In this game, players are trying to curse other players and turn them into ravens. Being a raven does not eliminate you from the game; it just changes the way you play. The game features a mix of bidding and bluffing mechanisms which seem to gel nicely. 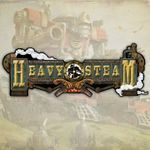 In 2014, we took an early look at Heavy Steam, an interesting miniatures game from GreenBrier Games that has Eurostyle resource management mechanisms mixed in. That game is nearing release, so we were able to get a better look at the final components here. We also got a chance to take a look at the new Ninja Dice: Kage Masters expansion that was on Kickstarter in March 2015. We had a chance to check out Twirk, a new word game from JR Honeycutt, podcaster and finalist in the recent BGG Summoner Wars tournament. The goal is to make five (or more) letter words as quickly as you can by using communal cards (think Texas hold 'em) as well as cards in your hand and vowel dice. 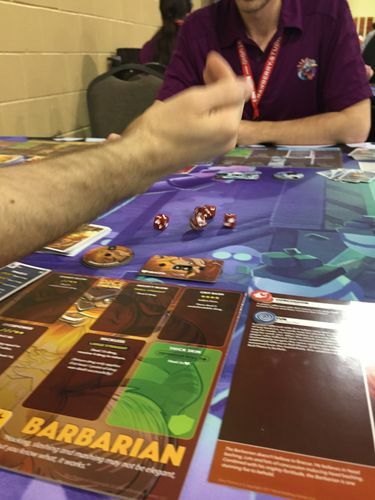 In early March 2015, I had the chance to head to PAX East and catch up with the latest happenings in board gaming. Here's the second round-up of videos from the event covering board and card games. 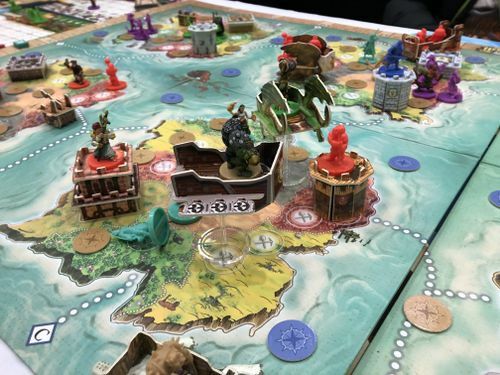 I had the chance to sit down with Chris Cieslik from Asmadi Games at PAX East and he gave me a quick rundown of what they have coming up this year. 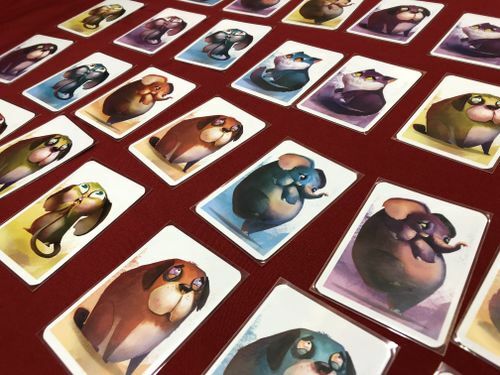 First off was Adorable Pandaring, a quick-playing panda card game that is on Kickstarter now. He also updated us on Heat and Consequential. Funemployed! is back again after a first run with a new publisher and an updated package. In Funemployed! you are trying to vie for a job using a hand of trait cards. Your goal is to tell why each of these wacky traits makes you the best person for the job. It is part Apples to Apples, part drama exercise. Okay, this is one of the most interesting games I have seen in a long time, plus it has a plastic zeppelin in the box. Letter Tycoon is a word game with a twist. You are aiming to form words to score points; however, on top of that you can buy stock in certain letters so you score when they are used. It is a wacky combination of Euro economic game with a classic word game. It looked fascinating. It is being printed now for planned delivery later in 2015. One of the big announcements from PAX East was about the board game Orcs Must Die! The game (which is actually two companion games: Orcs Must Die! : Order – The Boardgame and Orcs Must Die! 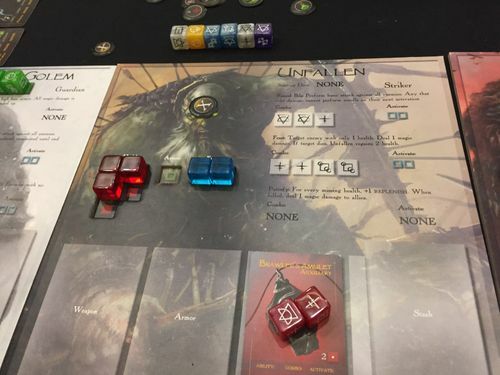 : Unchained – The Boardgame) is coming from Sandy Petersen, designer of Cthulhu Wars. The game is co-operative if you own one box or can be a team game if you own both boxes. This is in line with the latest developments in the video game. They had some mock-up components at the show, which looked up to the quality that was applied in Cthulhu Wars. If you have not played Orcs Must Die!, it is a sort of tower defense type game in which you lay traps to try and kill a band of orcs before they reach your base. It's exciting to see what they will do with it on the tabletop. Cinelinx is an interesting mash-up of dominoes and Six Degrees of Kevin Bacon. Each card in the deck lists an actor, director, film, or genre. You start with a hand of ten cards and a genre card in the middle. The goal is to empty your hand by placing cards in a positions that works. I've tried the game myself and it is, in a word, challenging. It will push your movie knowledge to the limits. Luckily, the game allows you to use up to three connections to link a card, which is much easier than one-to-one links and prevents you from getting stuck as often. It's a unique idea and one that will surely delight movie buffs. I hope you've saved up some giggles because it's time to talk about poop. POOP is a card game in the vein of UNO. Your goal is to empty your hand of cards by adding them to a toilet card in the center of the table. Each toilet card has a limit where it will clog, sticking a player with all of the poop cards in play. There's even an expansion available that offers new twists to the basic formula. At the show they offered gift wrapping which involved wrapping each deck in toilet paper...all very dignified. Mahou Shoujo: Fight Like a Girl! BoardGameGeek at PAX East: Will You Be There? It's that time of year again, time to gather in Boston for PAX East, one of the best board and video game conventions of the year. Next week, I will trek to the frozen, post-apocalytpic wasteland that is Boston to bring you updates and news on the latest in board games from the show. 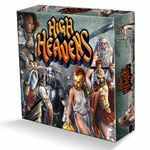 We are looking to do video demos of the latest board games at the show. 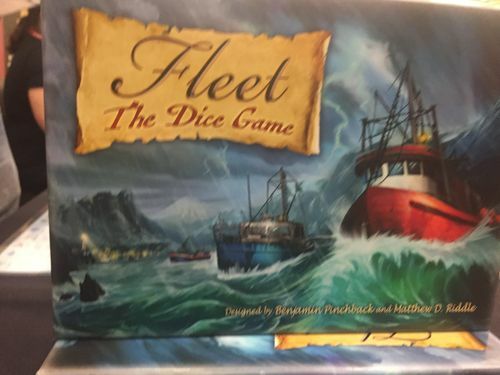 Do you have a board game debuting at the show or coming soon that you want to show off? We would love to meet with you. To schedule an appointment you can Geekmail me or email me at brad(at)boardgamegeek.com. Note: Our time at the show is limited, so we may not be able to fulfill every request. You can follow all the action here on BoardGameGeek. We will be posting news updates throughout the show and in the week(s) following. We will be running around the show covering all the latest in board games. Also, I would love to meet up with BGG users at the show. We should be hanging out in the open board gaming area most nights, so be sure to send me a tweet or Geekmail if you want to meet up. PAX East 2014 was a fantastic event, bringing together gamers and games from around the world. One of the biggest showings this year was the AdMagic booth, AdMagic being a printing company that got its footing in board games with Cards Against Humanity and has now extended its printing services to other Kickstarter and self-published projects. I was confused going into the show as to whether AdMagic was a publisher or printer. Owner Shari Spiro set me straight and explained the printer's plans for getting into the boardgame space. In the food fight card game What the Food? !, you are battling to be the one with the least food on you at game's end. In the (absolutely for adults) party game A Terrible Time: The Party Game Where Everyone Loses, everyone loses (as promised). The game is a mash-up of several classic party game mechanisms with terrible things on each card. Watch your back, Cards Against Humanity. 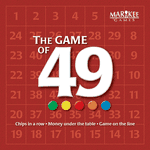 In The Game of 49, you are trying to win auctions to claim spots on a 49-square grid board. Each space you take earns money for both you and your opponents, so you need to be careful with each move. Did you ever want to play Risk on a map of your hometown? Havoc Baords lets you do this, with several printed boards on hand and the ability to make you a custom wood board of almost any location. Who is Frodo's perfect match? Would Darth Vader and Wonder Woman work out? 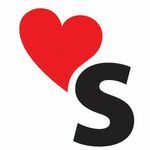 You can answer these questions in Slash: Romance without boundaries, an Apples to Apples-inspired game that has you matching up fictional and pop culture characters to find their perfect match. The trick-taking card game Jack Attack hopes to capture what we love about existing trick-taking games while adding some new twists. Could it be a new classic? The card game Apocalypze is all about surviving the zombie apocalypse. You have limited resources and must preserve them while attempting to make your opponents lose their resources. PAX East 2014 was a fantastic event, bringing together gamers and games from around the world. In this report, we take a look at games currently raising funds on Kickstarter or previously crowdfunded games that are now published. Talk about a loaded box, Attack the Darkness features hundreds of cards to create random dungeon adventures for you and your friends. It has a unique twist in that you add modifiers to your attacks that determine their ultimate strength. The aerial miniatures game High Heavens has been through two successful Kickstarter campaigns, and it had a strong showing at PAX East. The miniatures look excellent, and the way the miniatures actually stand above the game board was drawing a lot of attention. 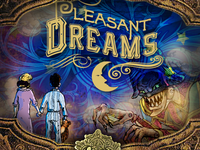 The two-player bluffing and card-counting game Pleasant Dreams is playable in just five minutes, and we actually played through a game before doing the video. The Kickstarter finished in April 2014, and the game should be available before the end of the year. This was the first year for the UnPub area at PAX East. Springing from the East Coast convention for unpublished board games, UnPub provides a place for new designers to show off their games. As an example of what was being showed, here are two games from a pair of designers: Kobolds and Resistor. 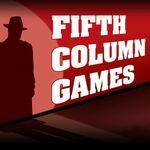 From Fifth Column Games, a company that generally does digital games, comes this new Bang!-inspired card game. Runes and Ruin looks to change up the classic hidden roles formula. PAX East 2014 was a fantastic event, bringing together gamers and games from around the world, and here's a look at four upcoming games — and one recently released title — that were on display at the show. 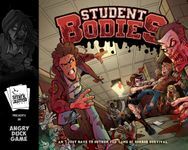 Smirk & Dagger Games and Angry Duck Games have teamed up to bring out Student Bodies, a competitive zombie survival game. The goal is to enter a zombie-infested high school, find a cure for the infection, and make it out alive (locking the door behind you). Mayfair Games showed us this new Leo Colovini game it will be releasing in May 2014. Your goal in Hot Tin Roof is to get pairs of your cats together to score victory points, and to do this you need to construct paths across the roofs of a city. Steve Jackson Games has been pulling in some pretty cool licenses as of late, and this latest one for Mars Attacks: The Dice Game has players taking the role of aliens trying to conquer or visit locations from around the world. 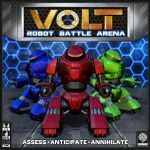 Taking cues from robot combat TV shows of the 1990s, the fast-paced simultaneous movement game VOLT: Robot Battle Arena is now available. In the title from Nazca Games, you play a robot trying to score victory points by destroying other robots or controlling specific locations. GreenBrier Games has grown from a single game at a shared booth to an entire company of its own. For 2014, it was showing off a cool steampunk miniatures game. Heavy Steam combines miniatures combat with a cube management system.